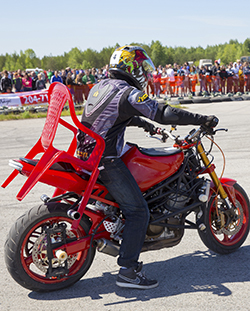 The Motorcycle Action Group Limited (MAG) announces that at its 2015 Annual Group Conference (AGC) on Saturday 11th April 2015, the group elected a new chair. The event was hosted in Bridgewater by the South West Region of the group. The 350 seat capacity hall was filled by members who listened to the reports of the last 12 months. Lembit Öpik (Director of Communication and Public Affairs) and Dr Leon Mannings (Transport Policy Adviser) opened the proceedings with very positive news regarding the significant increase in political activity including the engagement of a great number of political representatives which is hugely important as the Country approaches the General Election. There were two candidates for the chairman’s role that is elected annually. The new chair is Selina Lavender, the previous Vice Chair. 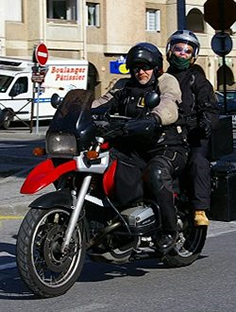 Unfortunately Northern Ireland recently lost its volunteer MAG representative, who, along with Right To Ride and the BMF (British Motorcyclists Federation), was an active stakeholder on the Department Of The Environment’s Motorcycle Safety Forum, as are the National Association for Bikers with a Disability (NABD) and other stakeholder group issues. This meant a three pronged approach to lobbying and discussions in Northern Ireland on motorcycle issues with government agencies and the promotion of the police Bikesafe rider assessment scheme. At Right To Ride we continue to work closely along with the BMF and hope that the Motorcycle Action Group will return to the motorcycle lobbying table here in Northern Ireland. 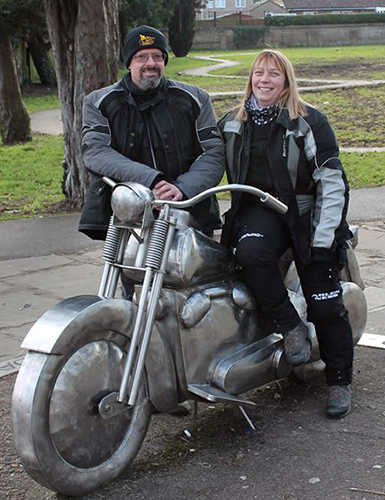 Selina lives in Cambridgeshire with husband Pete, Martha the dog and a Moto Guzzi Griso 1100. Selina has been riding for 30 years and is a former CBT instructor. She works as an office manager for a BACS bureau.